Thank you, Matt and your team, for always doing such a great job for us at our annual Real Estate Conference. Brad, thank you for the really tremendous job you and your crew did for us at our conference. I look forward to future opportunities to work with your team. Thank you! Your team rocked it. Adrian and Zac did a phenomenal job. We are excited to continue engaging with Pro Systems for future events. Brad/Matt - Thank you both for this past Friday. We know some changes were made last minute and Matt rolled with them like a trooper...We really appreciate working with your team as they are always professional. Just wanted to say thanks for making this rental happen for us on such short notice. Everything arrived per spec and worked great. Many thanks from me and the Tash Sultana crew! Our group of music venues and restaurants has worked with Pro Systems for our sound, lighting and video equipment since 2001. Brad and his team have always been there for us, responding quickly to our needs and helping us to execute the entertainment experience we want for our guests. Thank you to you and crew for pulling this off last minute and making it happen and going above and beyond. A true Pro team and I'm looking forward to doing it again and again. Thank you for your services at our recent event. I'm sure we will be using you for more AV services because you guys are awesome! Thank you for doing such an amazing job at Shamrock 2017! I have had two bands compliment us on how professional your guys were at the festival. I would like to thank Adrian for answering every call and adjusting; and Brad for working with me so hard to make Mardi Gras and Shamrock a success. Brad, you are truly a one of a kind and salt of the earth type of guy. It is a pleasure working with you all. Great job, now on to the next gigs! Brad and his entire team at Pro Systems handle everything for my company regarding audio and video. 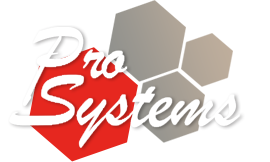 I have worked with Pro Systems for several years now. They provide all of my needs for sound, video projection, graphic design, flat screen/LED rental. The pricing is always fair and competitive. Pro Systems also has a team of guys that I can always depend on. Every tech and DJ is outstanding. I am truly grateful for their continued support on my shows. Reasonable and affordable rates. Prompt, on-time service. Professional and timely administration of paperwork. Will definitely use them again! - DJ Tristan Jaxx Productions, Inc. I want to thank you so much for sending Rob to run our show. He was so professional, attentive, and dedicated to making our program the best it could be. His attention to detail was unsurpassed. My video director said, "Make sure you ask for him next year!" His entire crew was great-- can-do attitudes all the way around! Again, thank you for accommodating us so perfectly at the last minute. We so appreciate the excellent service you provided. I just wanted to extend a HUGE Thank You to you an your crew. You guys did an amazing job and made my life super easy. I can't thank you enough. Working with Pro Systems was a great experience. The techs that handled set up for the event made me feel confident that A/V was nothing to worry about and they did not disappoint the day of the event! It’s so nice to know your team is willing to go above and beyond. Thanks again! Thank you guys for taking care of everything so quickly. The sound was fabulous today! Outstanding job with our Gala what more needs to be said!! Brad and Jim your team did an excellent job reading the room and setting us up for success at the ABA. Your guys were pros extremely skilled at their craft making a significant impact come "Showtime". Brad, thank you for also going above and beyond your bid when it came to the extra lights, speakers, monitors and everything else behind the scene it was a first class and top notch production!